Cruiser & Kicker // RHINO Pediatric Orthopedic Designs, Inc. 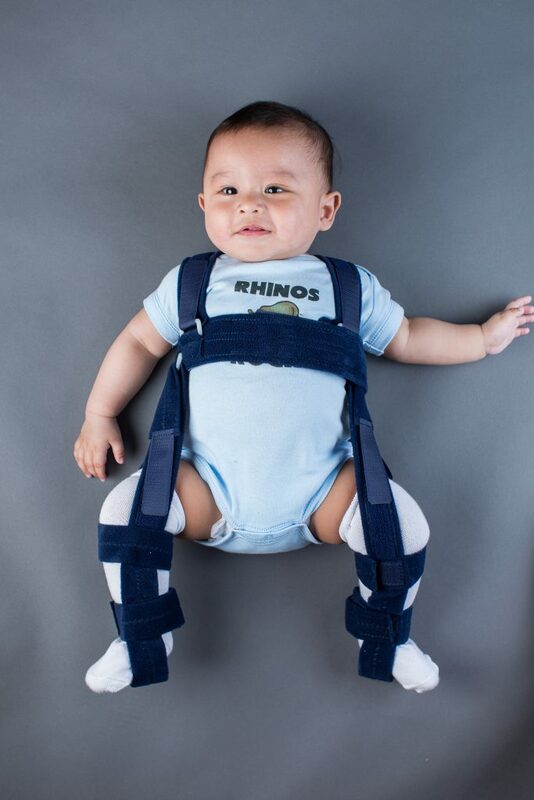 Polypropylene hip abduction brace for treating children from infants to 3 years of age with hip dysplasia. Holds hips in the correct abduction position, but flexible enough to allow walking. Can be used full time or for night wear only. Commonly used as a follow-up to the “Kicker” pavlik harness treatment, as the child begins to walk. 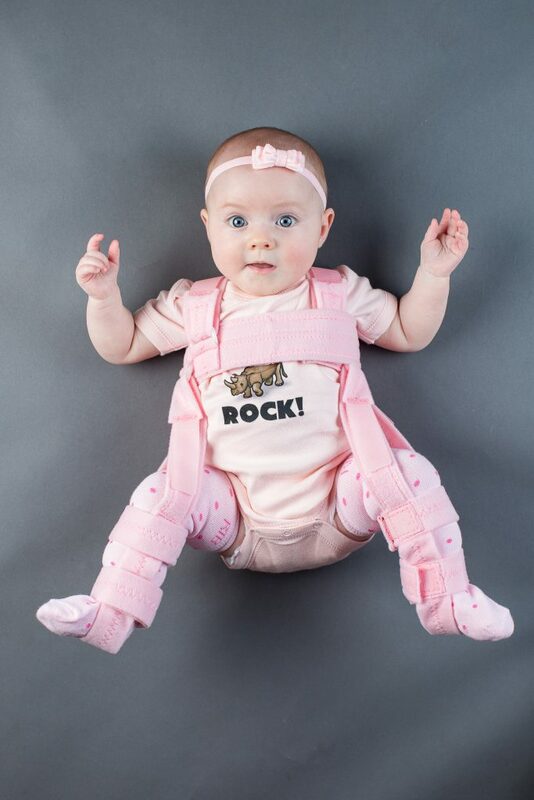 Biomechanically correct strap position for maximum effectiveness in treating hip dysplasia. We specialize in very small sizes suitable for the “preemie” with hip dysplasia. Machine washable and dryable. Soft material in dark blue or light pink with self gripping fasteners.